HARSH WORDS – CAN ONE SURVIVE? Demeaning, harsh, insulting words can definitely become hurtful even to the point of affecting one’s health. Many of us are guilty of it at one time or another saying something we regret — intentionally or unintentionally; but to constantly use a hurtful tongue against another is abusive and should not to be ignored. The abuser may have issues of his/her own, but that’s another subject. For the recipient, however, words can strike deeper than a knife. The good news, is that the recipient can survive. Depending on the individual and situation it may take a while or not very long, but it can be done. Not everyone is born with a duck’s back where water would roll off — then again, even a duck can drown in torrential waters; thus, the need to seek shelter. Healing involves a few things. Honest self-examination; good and wholesome association; positive environment and entertainment; and let’s not forget — self-love. Examining ourselves with honesty helps us to understand our capabilities and our makeup. Some of us are more sensitive than others, but must still learn how to ward off “crazy-glue” words. When we realize what may have triggered the issue, we must immediately get out the first aid kit and nurture the wound. How? Prayer, meditation, nurturing literature, and even a good run/walk. If we suffer from severe depression that is crippling us, we must seek profession care — nothing to be ashamed — we go to the doctor for our body and we go to another doctor for our mind. Open the windows and let in the light and smile (even when you don’t feel like it). Think of others who are faced with trials (illnesses, tragedies, etc.) beyond what we can imagine, yet survive because of their love for life and obtaining the hope of personal joy. Really, it’s out there in this crazy world. Avoid going back into the snare of negativity. Forgive those who are hurtful (I know – easy said than done, but try) because we are forgiven every day whether we realize it or not. Push the hurtful thoughts far back by welcoming the company of people who are doing the same thing you are doing — making the best of life with wisdom and good conscience. Use your experience as your tool to perhaps help others who may have faced similar hurts. What a good friend you can become because you can actually offer sincere empathy,because you’ve been there; thus, giving other victims hope. Helping others also strengthens us. Really. Self-love. Offering compassion, help and understanding (as mentioned above) are already positive signs of recovery. Over time you will look back and see a huge accomplishment for your own positive acts. The past naysayers and cruel words become very small, as your positive and emotional wealth and support grows. Remember, we can’t please everyone. Talking often about the harsh words and/or abuser would only give them power over us. They’re not worth it. When we continue to appreciate who we really are; those past harsh words will eventually dissipate and no longer matter; eventually we heal spiritually, emotionally, mentally and physically. We find that good association and positive thinking of self and others drown out the negatives. Should harsh words pop again, we know what to do. Rather succumb or become paralyzed, we quietly retaliate by moving on and relish our wonderful refuge of nurturing and love from those who are dear to us. Hi Everybody. My name is Joseph. I’m eight years old and the main character in the Joseph Land series by J. Hale Turner. I happily accepted Miss Turner’s invitation (with my parents’ permission, of course) to become her young spokesperson for literacy. Back to my book, you will learn that reading wasn’t my best quality and I had to work hard so that my grades would get better in school. I didn’t know that reading could be so much fun. Although I love being outside with my friends in the neighborhood or in school, I can’t wait to read what’s going to happen next in my story or learn more about real people, animals and places. Reading is really, really cool! And that’s why I’m here. I wish to share this special message with all my friends. My family and I have joined Ms. Turner with other authors to alert people about A- LITERACY. What does ALITERACY mean? It means that there are people who CAN read but refuse to do so. Now that’s crazy! How can you have a career and not read and understand what to do? 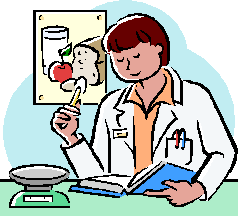 I sure want my doctor to read well and know what she is doing, and that goes for my teacher, dentist and many others. A-LITERACY is the opposite of IL-LITERACY. ILLITERACY is when people CANNOT read; because of unfortunate situations, they did not go to school or did not finish it. Yet many people who cannot read really WANT to learn. That’s why there are classes available to help people learn to read. Did you know that ALITERACY is becoming worse than ILLITERACY in our country? WOW!!! Now that doesn’t make sense, does it? While most people in our country are able to read, many of these choose not to. I love to play video games and watch TV; but, in my family we don’t spend too much time doing that. Why? Because our brain can become lazy and we’ll end up letting too much entertainment on TV think for us. 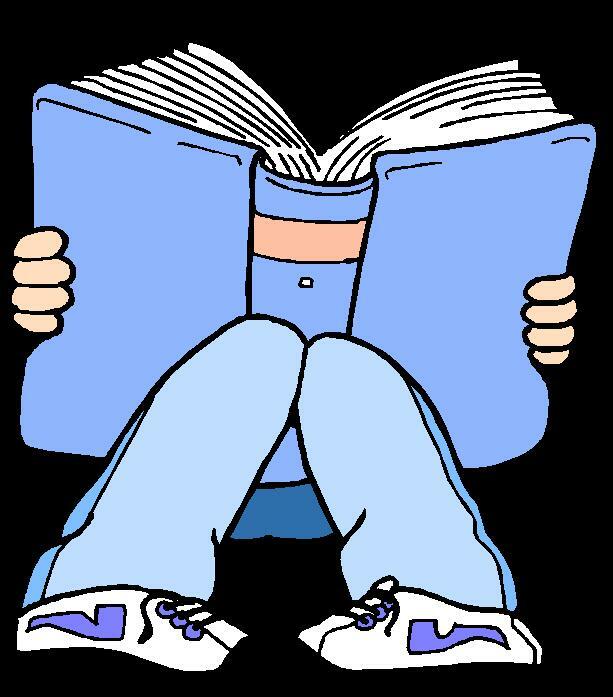 When you read a book not only are you exercising your brain, but you’re also using your imagination to picture what you are reading. My family sets a special moment to spend reading together. It’s our quiet hour. Dad calls it “chill out” time. When I have questions, my family is there to help me understand better. Now I read whenever and wherever I can. When you run out of books, where else can you go to? Right! The library. There are also bookstores and children’s book clubs. You can check them out with your parents. But the library is FREE and got lots and lots of books. Just be sure to return them, okay? Reading helped me to do better in school. I learned to think better. My sister, Marian, says reading helps us to concentrate and be smarter. Don’t you want to become smarter? Good. Remember to read every day. When you get the hang of it, it’s not so bad. It’s really fun. Friends and I read books and magazines and exchange them. We even talk about the stories, and act them out. Now that’s awesome. In one of my series, Big Papa (my grandfather) had gotten sick and couldn’t remember things. I worried about him. So when he looked sad, I took one of my books about fishing, because he loves to fish. The more I read to him the more he began to smile. Every chance I get I would read to him. Soon we were sharing the book and newspaper sports page together. He began to read along with me, and Big Papa started feeling good about himself again. See, reading can make you feel better when people you love share nice stories with you. Like Big Papa, you begin to repeat words that are hard to say. It took a while for Big Papa to say the words clearly, but soon he was able to remember words and read more on his own. Everybody in the family was so happy. See how important it is for us to read to others? Do you read to your younger brothers and sisters? Do you have older people in your family to read to? Miss Turner always says that “Reading together brings family closer together.” I agree. Reading together has become one of my family’s special moments. So friends, make literacy a special part of your life. The more we read the smarter we become. Oh, and if you find someone who has difficulty reading, don’t laugh at them or ignore them. They need a good friend to help them, just like someone has helped you. Literacy teaches us to become patient and understanding. Reading is not a chore – it’s fun! You can read at your own pace (unless you have a deadline in school). Reading daily increases your speed, but be sure you understand as you get better. Hope you will join me and my friends to fight A-LITERACY. Friends, Miss Turner, my family and I encourage you to share this message with others. There are books for everyone of all ages. Have lots of fun. And remember LITERACY is a joy not a burden. Again, my name is Joseph Land. Thank you for giving me the chance to share my message. See you around! Oh, and don’t forget to join me in my future adventures in the Joseph Land Series. 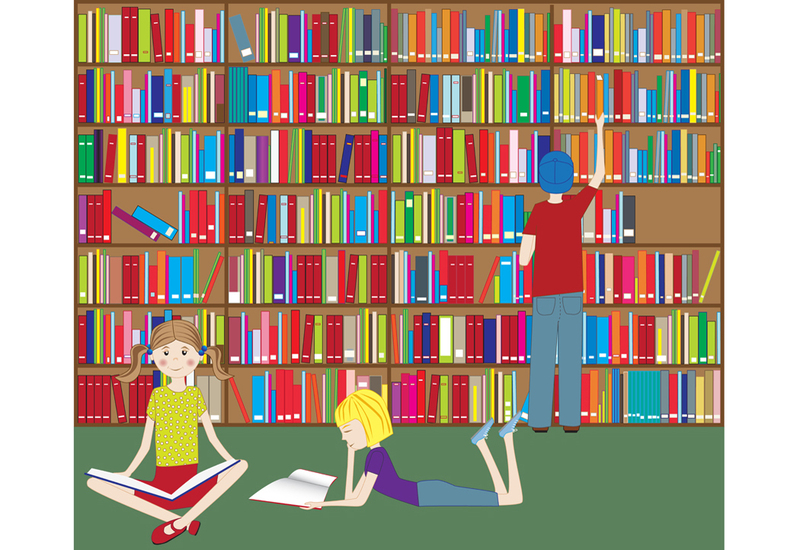 National Reading Month — Really? National Reading Month. Yes, it’s that time again. I applaud the efforts to encourage reading. Reading can be such a wonderful getaway. Unfortunately, there are still some of us who lack wholesome literary food. Our brains really starve for a good wordy meal. Truly. Besides enjoying delicious foods for the body and brain, our minds need the exercise and stimulating diet of a scrumptious good read. Kids, reading can be FUN! — not a chore. Reading lets our minds travel to distant places — imaginarily or literally. You can discover places and amazing sights through travel, history and science; or let your imagination expand through fantasy, mystery, suspense and more. Pick the books that spark your interest and you’ll enjoy the ride. Growing up, my friends and I shared books with each other and talked about things that really impressed us. Reading opens communication — ability to express and even listen to other readers’ thoughts and opinions. Reading is simply entertaining. 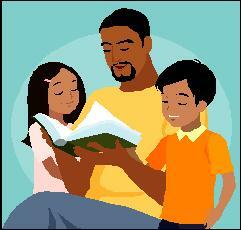 Parents, our active reading sets a positive example for our children to do the same. Loving encouragement sets a trend, not only at home, but at school, work and even play. When we were youngsters, Dad would exercise our reading skills by pointing out words on billboards, transportation itineraries, even reading maps. To this very day, I can still read a map when our GPS is on the blitz (perhaps it’s time to get a new one, huh?). Mom was a lover of books — especially the Bible. Any question she had, she researched. She made sure she had full understanding in order to show others. If we didn’t know a word, we looked it up, and our vocabulary expanded. Now, any ailment, prescribed medicine, social and health information would be researched until we felt comfortable to discuss matters with the professionals. 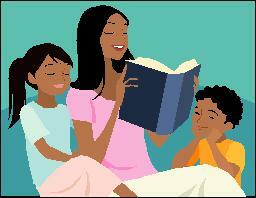 Although March is considered National Reading Month, why not make every month Reading Month. Warning: Reading can be addictive. How wonderful! Eight-year old Joseph has fretted over reading in school. With practice and family support, Joseph’s reading grades made a big improvement and he was rewarded with a wonderful surprise. Meet Joseph and his family and join him in his adventures with his new camera. Becoming sweet sixteen is soon approaching for Skye Patterson. Time to meet her BFFs at the mall and celebrate a whirlwind shopping spree — BUT, Mom throws a wrench in the plan by sending younger sister, Starr, to tag along. Life can’t get any worse after Skye loses her younger sister in the mall. Odd how an honest mistake sends their entire “perfect” family spiraling into confusion and despair. Will they recover the drastic change of events?